The Foundation is administered by a team of dedicated volunteers who are professionals in their fields. All money donated goes directly to the purchase of equipment or services to further scientific research into the best treatment for cancer for companion animals and ultimately humans. Greater effort, dedication, and funding will allow the pursuit of these important research and training endeavours to benefit animal and human health now and in the future. Equipment, like the radiation facility at Brisbane Veterinary Specialist Centre, provided by the Foundation, not only provides effective treatment for companion animals, but also contributes to defining the characteristics of these naturally occurring cancers and uses them as models for innovative, novel cancer therapy in humans. The Australian Animal Cancer Foundation is a scientific research Deductable Gift Recipient (DGR) making it an eligible recipient of Workplace Giving donations from employee's pre-tax pay through their employer's payroll system. The convenience of Workplace Giving allows employees to nominate regular donations from their pay, eliminating the need to collect receipts or wait until the end of the year to claim a tax refund. Giving from pre-tax income means donations cost employees less, whilst the Australian Animal Cancer Foundation receives the full benefit of their donation, all of which goes straight to cancer research support. No donation is too small. Our Workplace Giving partners enjoy their partnership with the Foundation and the opportunity to visit Brisbane Veterinary Specialist Centre and see the benefits of their support. Workplace Giving is transparent and trustworthy for employees and employers, and avoids high fundraising costs for charities. If your company would like to partner with Australian Animal Cancer Foundation in a Workplace Giving Program please contact info@animalcancer.com.au. Further information on how to set up a Workplace Giving program in your organisation is available from the Australian Taxation Office at www.ato.gov.au. BUY AACF & Dukey's Cause Merchandise! All proceeds to the Australian Animal Cancer Foundation. The ‘Perfect Imperfection Dogs’ book will uplift and inspire all that open its pages. Photographer and Creative Director of Houndstooth Studio, Alex Cearns loves every dog she’s had the privilege of photographing, but those perceived as ‘different’ hold a special place in her heart. These are the pooches who have lost a leg, been born without eyes, or are still showing the scars of their pre-rescue life. 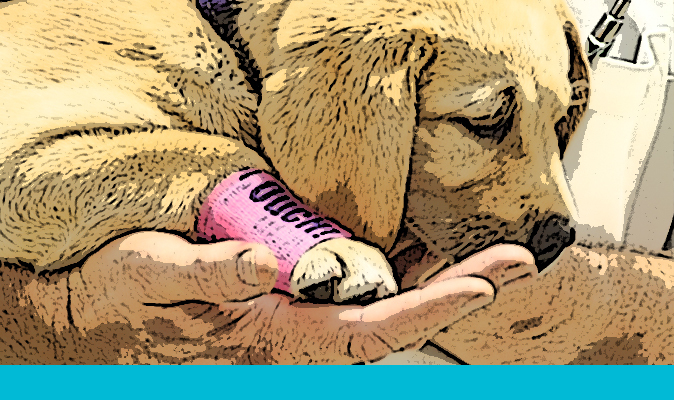 These courageous canines are perfectly imperfect and they touch the hearts of all who know them. 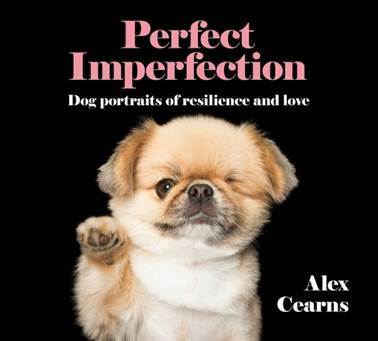 Alex is kindly donating a percentage of the royalties from ‘Perfect Imperfection’ to the Australian Animal Cancer Foundation. This not only enables animal lovers to make a difference by contributing to a good cause, it directly relates to many of the dogs in ‘Perfect Imperfection’ who have lost a limb or had an eye removed due to cancer.